As we get closer to the summer months, a lot of different programs and plans are in motion, ranging from qualifiers to big parts of Premier Play. Consider this week your latest edition of the Magic OP newspaper, where today you'll get an update on the Magic Online Championship, some upcoming Grand Prix, Pro Tour Dragons of Tarkir, and the update regarding the World Magic Cup Qualifiers event information that we promised to deliver in March. Let's start things off with Magic Online. Information on the 2014 Magic Online Championship—taking place May 15–17 in Seattle—was posted last month, highlighting the competitors and the location. However, what that announcement did not include was the format of the tournament. That was revealed to the public Tuesday during the Vintage Super League. The Magic Online Championship this year will test competitors' skill in four different formats across two days before the cut to a Top 4. On Friday, May 15, players will compete in three rounds of Vintage, a format that has gained momentum through both its accessibility on Magic Online and its exposure through programming such as the Vintage Super League. After that, the competitors will compete in four rounds of Modern. On Saturday, May 16, competitors will be tested in three rounds of Dragons of Tarkir Booster Draft, and the day will round out with four rounds of Standard before the end of the Swiss and a cut to the Top 4. On Sunday, May 17, the semifinals will be Standard. However, the finals are a little different. The finals of the Magic Online Championship will be best two out of three matches rather than games. The first match pits players against each other using their Vintage decks from Friday. After that, the next match will feature the Modern decks that both finalists brought with them to Friday's rounds. Should a third match need to be played to determine a winner, the finalists will finish up their last match of the tournament using their Standard decks from Saturday. The 2014 Magic Online Championship field features a mix of Magic Online competitors making their premiere on a grander stage beside big names from Magic's past and present. Aside from 2013 Magic Online Champion Lars Dam, this year will also feature Pro Tour Fate Reforged Champion Antonio Del Moral León, Hall of Famer Olle Råde, Grand Prix Milan Champion Magnus Lantto, and Grand Prix Liverpool Champion Martin Dang among the sixteen competitors. The Magic Online content team will be delving into the stories of each player through competitor bios leading up to the event, starting late April, so be sure to look for those! The 2014 Magic Online Championship will also feature two relatively new faces to the coverage team. Eric Froehlich will be joining the team as an expert commentator, while MTGO Twitch mainstay Kenji Egashira will be joining us as our sideline reporter. I’m personally thrilled to work with both Eric and Kenji, and look forward to their contributions to the coverage of this event! 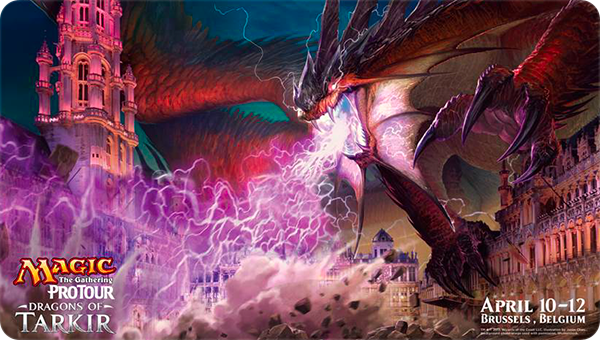 Hareruya Inc., the tournament organizers for Grand Prix Chiba, recently published their GP website with the latest updates on one of the three GPs to make up Modern Masters Weekend during the end of May. They have also announced that pre-registration for GP Chiba will open on April 7. So if you are planning to go to this Grand Prix, bookmark their page and check back on April 7 to reserve your seat in what is sure to be one of the most memorable weekends in Japanese Magic. Grand Prix Chiba takes place May 29–31, and is just one part of the global celebration that is Modern Masters Weekend. Grand Prix Copenhagen, which takes place June 19-21, just had a shift in venue. This GP will now take place at the Bella Center Copenhagen. The event information for GP Copenhagen will be available shortly, so look for it soon! Folks who got a chance to check out the Magic merchandise available at Pro Tour Fate Reforged may have noticed some new shirts, along with a very cool Funko POP! Nicol Bolas figurine. That wasn't a one-shot opportunity to pick up the event-exclusive swag. You'll see it for sale at all of this year's Pro Tours. Aside from a collection of Pro Tour-exclusive t-shirts, the Funko POP! 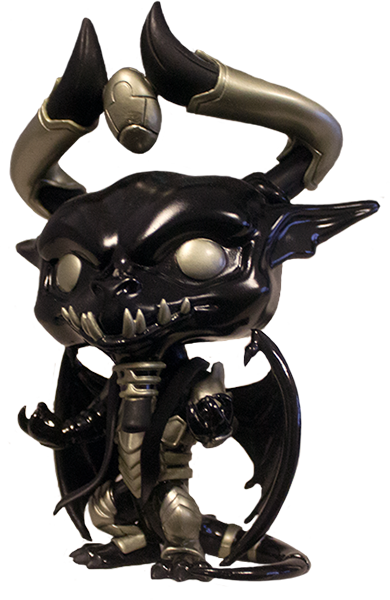 Nicol Bolas will also be available at all of this year's Pro Tours, and oh boy is this little elder dragon/terror of the Multiverse ADORABLE! If you're looking to commemorate competing in the Pro Tour in Brussels in a few weeks, or if you're just looking to pick up a special souvenir after a visit to see all the action, stop by the merchandise booth and see what suits you! The second round of WMCQs, which take place September 5–6, will be Modern Constructed. The other two WMCQ rounds will be Standard. All of the WMCQs taking place in the United States, Japan, and the Philippines will be two-day events. In addition, eight other countries will have at least one two-day WMCQ. Those events will be scheduled by June, so more information—including which WMCQs are not going be two-day events—will be revealed in the coming months. You get one of these incredible promos for competing in a WMCQ. Thalia, Guardian of Thraben is an Eternal staple for players who enjoy putting the clamps on any opposing shenanigans, and you'll be able to get your own WMCQ-exclusive promo featuring Thalia by competing in a WMCQ (while supplies last). Dragons of Tarkir comes is out today, and this weekend is the Release Celebration for the brand new set. Go out this weekend, open some new cards, update your decks, and have a blast! And in a little more than two weeks, be sure to tune in to Pro Tour Dragons of Tarkir coverage to see how the new set has shaped the competitive scene in both Limited and Standard. Coverage begins April 10 at 9 a.m. local time (CET)/12 a.m. PT/3 a.m. ET/7 a.m. GMT on Twitch. That's all for this week. Enjoy the new set, tune in to the Pro Tour, and good luck at your local and premier-level Magic tournaments!